It can be recalled that Controversial blogger, Kemi Olunloyo was remanded in prison for allegedly publishing materials believed to have defamed the GO of Salvation Ministries in Port Harcourt, Pastor David Ibiyeomie. Just after a Magistrate Court had granted her bail and she was about to take her leave apparently, a Federal High Court in rivers has denied her bail. 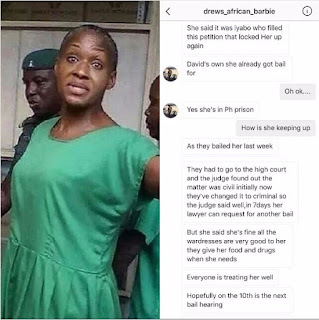 'Breaking: Kemi Olunloyo remanded over Iyabo's defamation suit, filed at the high court, after getting bail from Ibiyomie's suit filed at the magistrate court, according to #FreeTheSheeple member @drews_african_barbie who said Kemi was in good spirits after visiting her in prison. 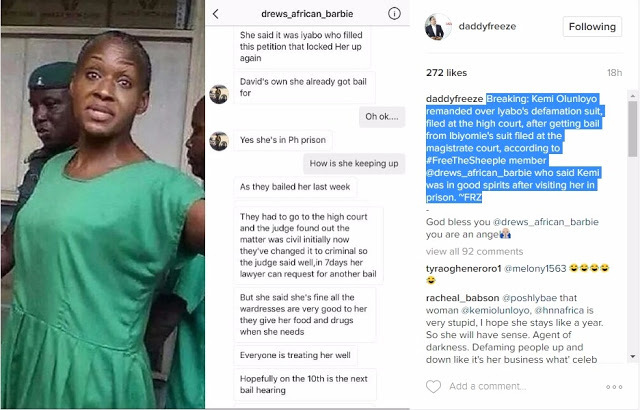 ~FRZ"
According to an IG user, drews_african_barbie who gave Daddy Freeze this info said, actress Iyabo Ojo was the one who filed the High court suit. 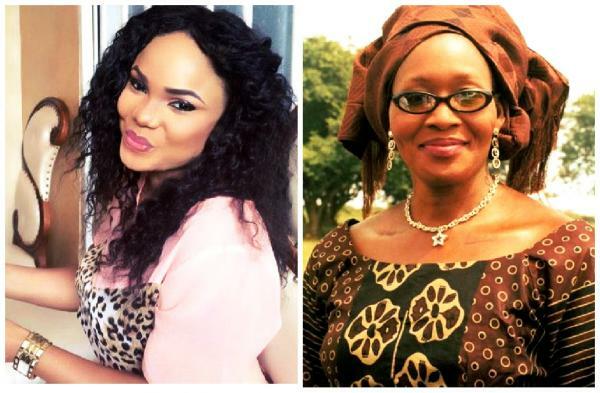 0 on: "Iyabo Ojo Sues Kemi Olunloyo, Sends Her Back To Prison - Freeze"